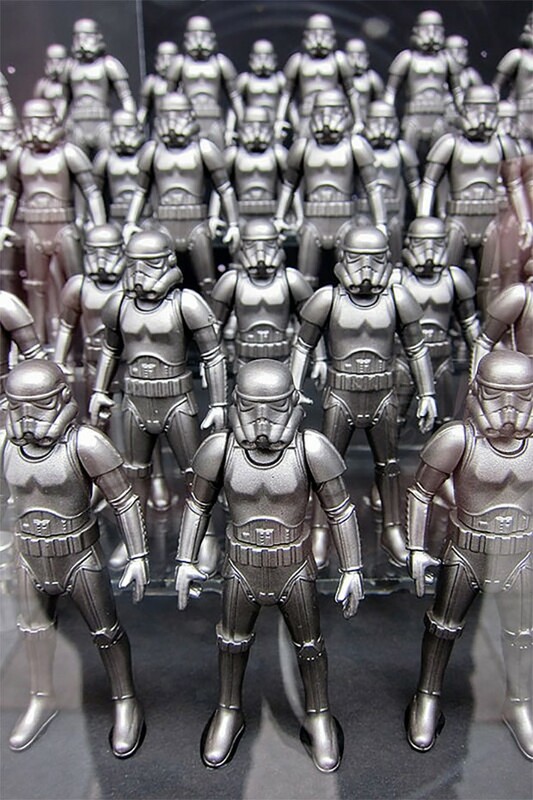 If you’re fortunate enough to live in Japan, you might have been one of the lucky few to get their hands on this awesome Stormtrooper collectible – a gunmetal die-cast version of the iconic Star Wars character. 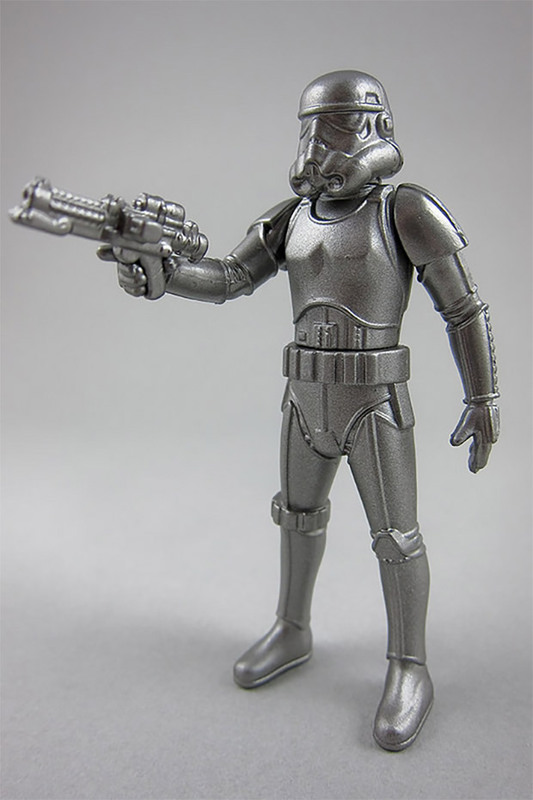 The figure measures about 4″ tall, has articulated arms, and even comes with a blaster – though it’s completely incapable of aiming it. 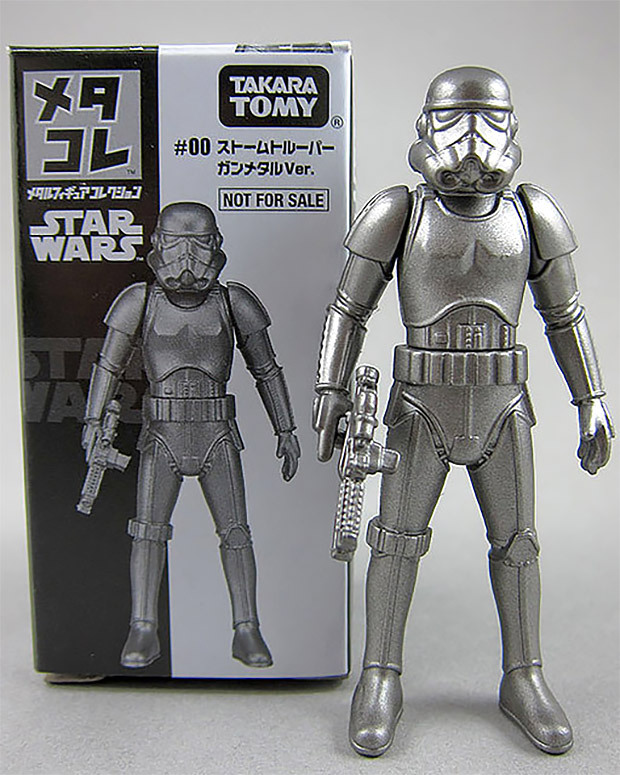 Takara Tomy offered the Metakore Stormtrooper to those who spent at least 5,000 yen (~$42 USD) on Takara Tomy merch at KiddyLand Harajuku back in late January. 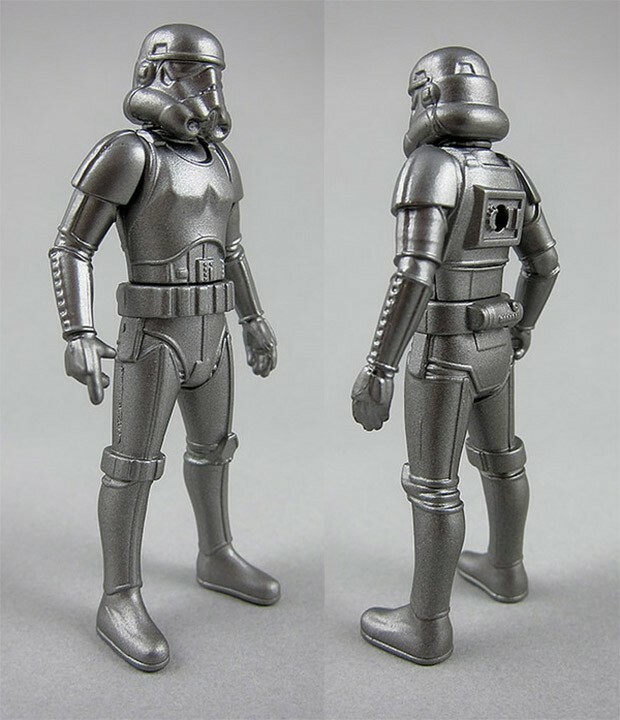 For those of us who missed out on the event, there’s always a chance the collectible will turn up on eBay after they ship out this April.